Photo credit: James Guilford. 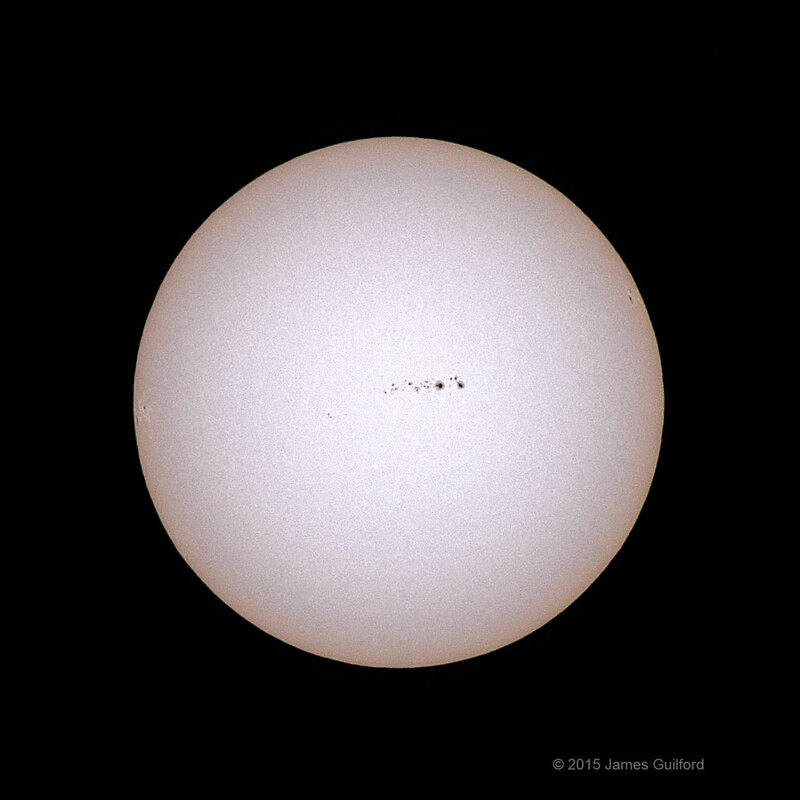 Canon EOS 7D II: ISO 400, f/11, 1/1250 sec., 400mm lens with Astrozap film solar filter, heavily cropped, November 4, 2015. This entry was posted in Uncategorized and tagged astrophoto, aurora, member photographs, solar, sun, sunspot. Bookmark the permalink.